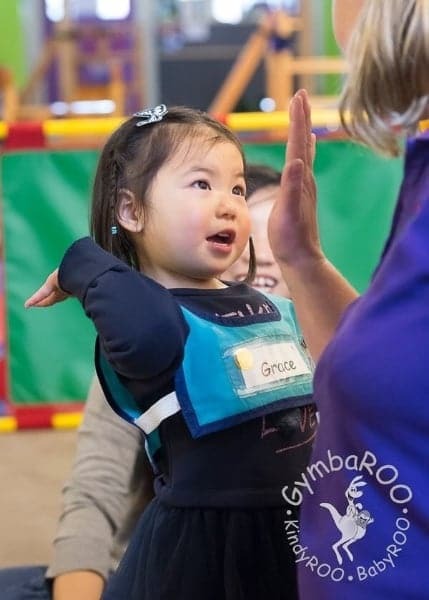 Baby, Toddler & Pre-School Development Classes – 8 weeks – 5 years old!! 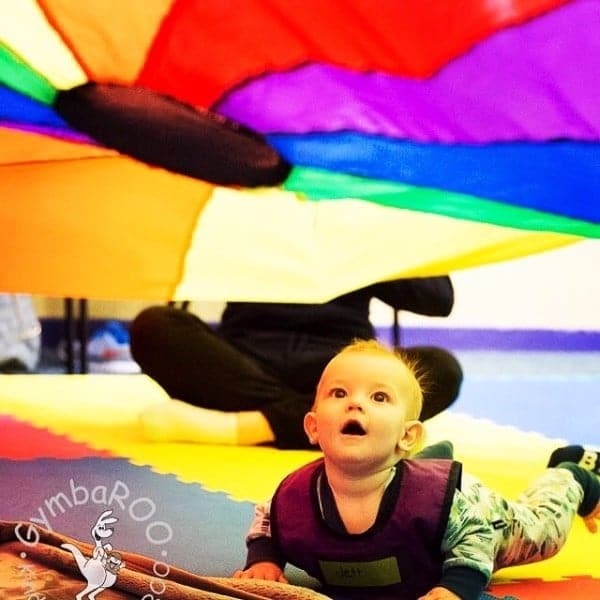 GymbaROO is a parent/child educational program researched over 24 years to enhance the development of essential gross and fine motor skills in children. We also inform parents/carers about many facets of child development and how to achieve these milestones in their children. 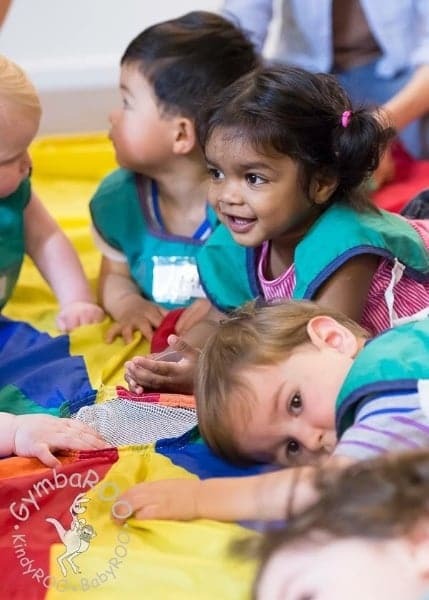 Recent research shows that appropriate learning and experiences in the early years lay the foundation for success as they reach adulthood. 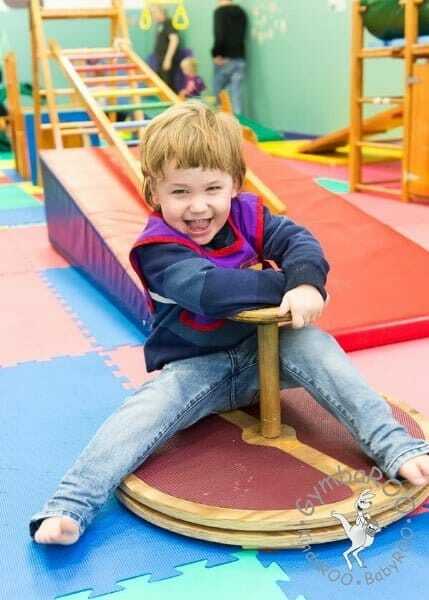 Classes are developmentally age appropriate and loads of fun! 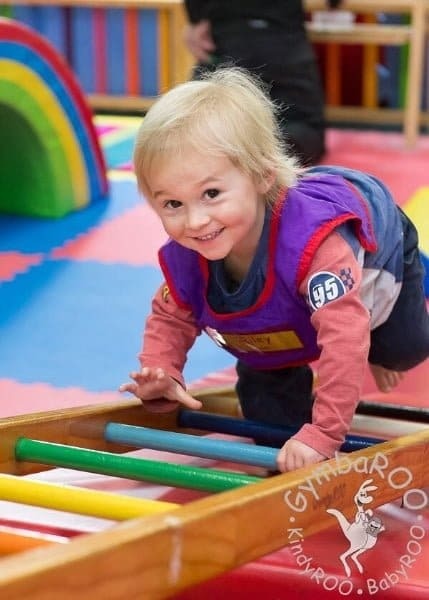 Bring your child along to crawl, creep, jump, hop, swing, roll, tumble, hang, climb, sing and dance their way to healthy physical, social, emotional and intellectual development. Each parent/carer receives a child development hand out at the end of lesson each week. Classes are held in Lane Cove Monday & Tuesday (19 Rosenthal Avenue) and Greenwich Wednesday, Friday & Saturday (6 Greendale Street). NEW!! Private Birthday Parties (Saturday Afternoons only) enquire within!! We enjoy the classes. 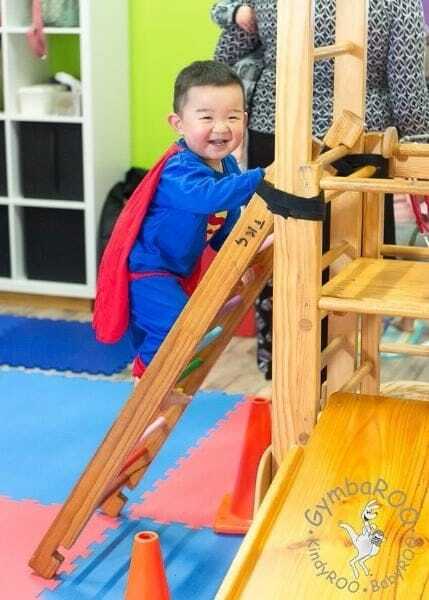 Excellent stimulation for a crazy 2 year old..
Great classes! Really good way to meet new mums and my daughter loves it.